The last post linked you to Wikipedia’s page on the Visconti crest. Since that post was strictly about fig ivy, I didn’t want to include the above photo. So I’m showing it to you now. 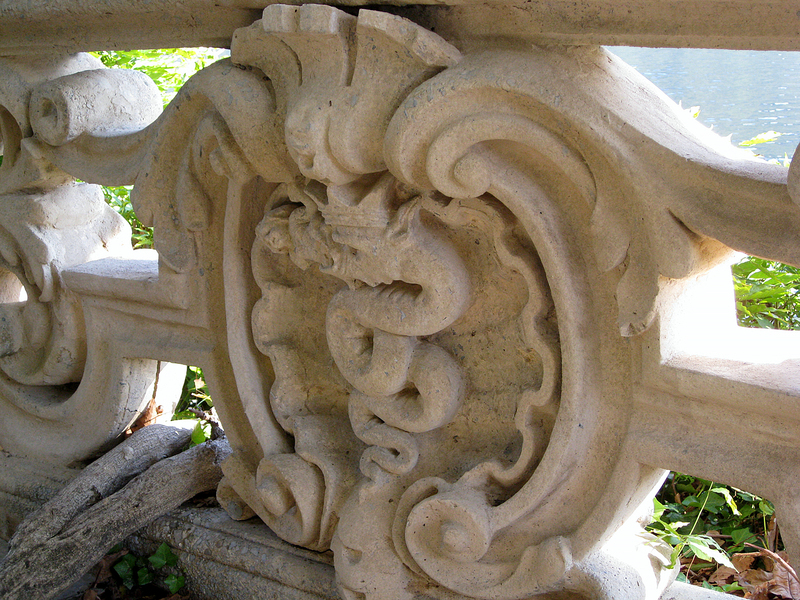 In it, you can see how the Visconti crest is interpreted on Villa Balbianello’s balustrade. It seems to me that the artists, rendering the crest in both locations, had problems creating the baby, and both figures ended up resembling a “man” child. Which is probably a good thing. 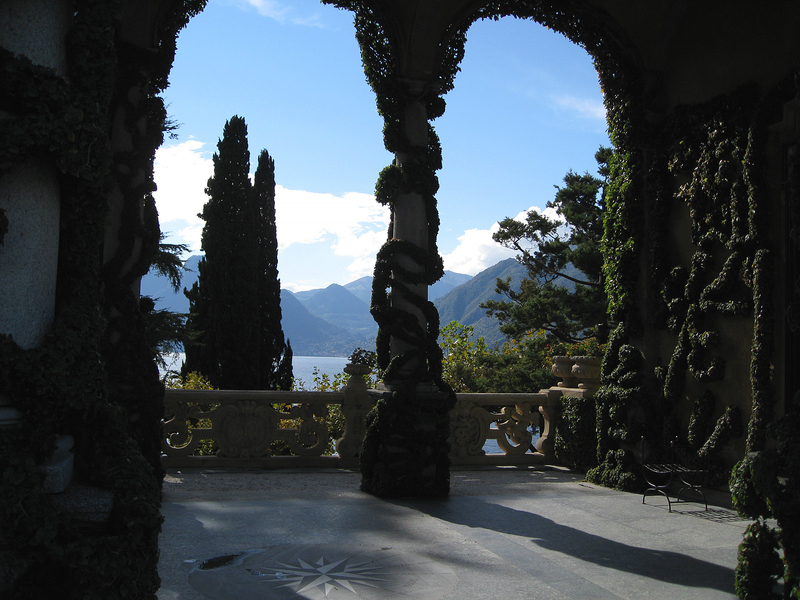 (above) A beautiful view from Villa Balbianello. From time to time I will be posting photos taken on my past trips to Europe. And quite often, I will be posting and referencing Luchino Visconti. He was a member of the same infamous Visconti family that I’ve previously mentioned in my posts. I’m an admirer of his films with their beautiful historical locations and lavishly detailed sets and costumes.